3 rounds of competitive chess; ‘Quads’ are a mini ‘round robin’ chess tournament, with players ranked by rating, divided into groups of four with each challenging the other players in their ‘quad’ (four player group, hence three rounds). This offers more equitable competition and practical tournament preparation, are a truer test of one’s ability. It’s not just for scholastic players, but coaches & parents as well. Registration closes at 3pm day of Quads. FREE QUAD PASSES go to quad winners; medals will be awarded to all players 18 years old and under winning their quad. Ties are settled by 5 minute blitz-off. Tournament coordinator is NOT responsible for players outside of the room; parent/guardian attendance required for players under 13 years old. Open to first 40 players. Please bring your own clock if you require one; boards and pieces are provided. Clocks will be used to force the end of games 40 minutes into each round. No food allowed in the tournament rooms. 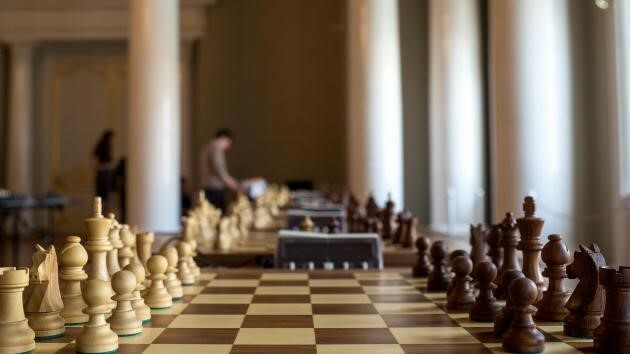 Bring a full stomach, mind, and appetite for full-throttle chess.